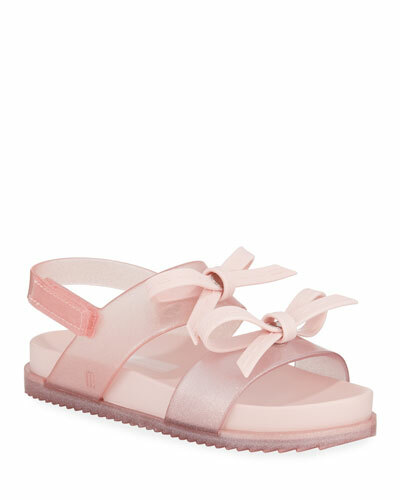 Mini Melissa is a line of fashionable jelly shoes, sandals, wellies, and flats for girls. The kid’s shoe collection is part of the global footwear brand Melissa, founded in 1971 on the principles of good design, sustainable development, and technology. 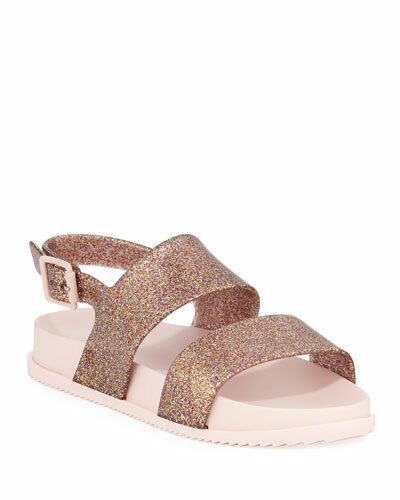 With a range of proprietary, recyclable materials and specially developed manufacturing techniques, Melissa and Mini Melissa shoes are eco-friendly in addition to being comfortable and trendy. 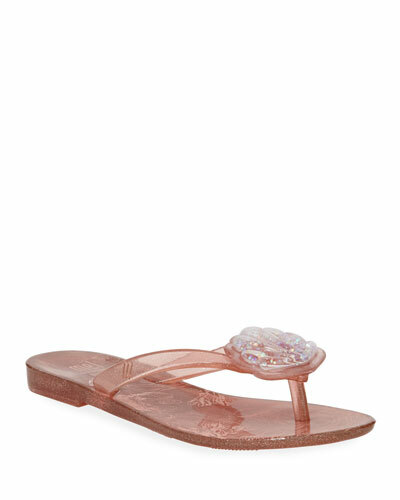 Girls shoes include dainty ballet flats, glittery sandals, pearlescent slides, and even some collaborative designs. Mini Melissa shoes are made to be easily recycled, but they’re substantial enough to be handed down. 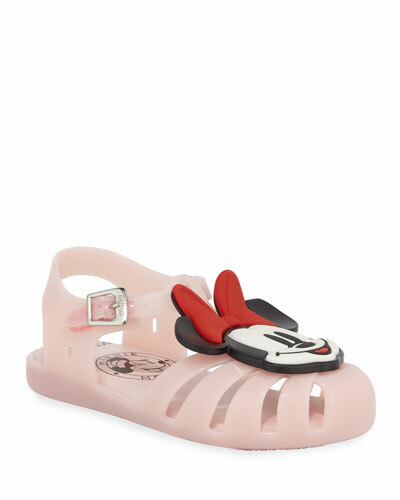 Shop a selection of girl’s shoes by Mini Melissa at Bergdorf Goodman.